While this may not be the year for Maryland to approve recreational marijuana, lawmakers say they are going to be study how to implement it as soon as next year. House Speaker Michael Busch said Wednesday on the first day of the legislative session that a task force will “put a structure in place before we send it to referendum for the people of the state of Maryland to decide” as soon as next year. He made the comments at the Annapolis Summit, which is sponsored by The Daily Record and the Marc Steiner Show. Environmental activists in Maryland are urging lawmakers to increase the state’s renewable electricity goals. They waved green surf boards in front of the Maryland State House on the first day of the legislative session Wednesday. The proposal would increase the state’s renewable electricity standard to 50 percent by 2030. Republican Gov. Larry Hogan says he’s open to working with the legislature on the issue, though he says there’s a good argument for waiting on a study next year before making a decision. Hogan was asked about the proposal during the Annapolis Summit, which is sponsored by The Daily Record and the Marc Steiner Show. Maryland now has a goal of increasing renewable energy to 25 percent by next year. Maryland’s House speaker is expressing confidence lawmakers will approve legislation designed to make prescription drugs more affordable. House Speaker Michael Busch said Wednesday on the first day of the state’s legislative session that he believes lawmakers will pass a bill to create a state board to review prescription drug affordability. Republican Gov. Larry Hogan says drug costs are “outrageous.” He says something should be done, but in a way that won’t be struck down in the courts. 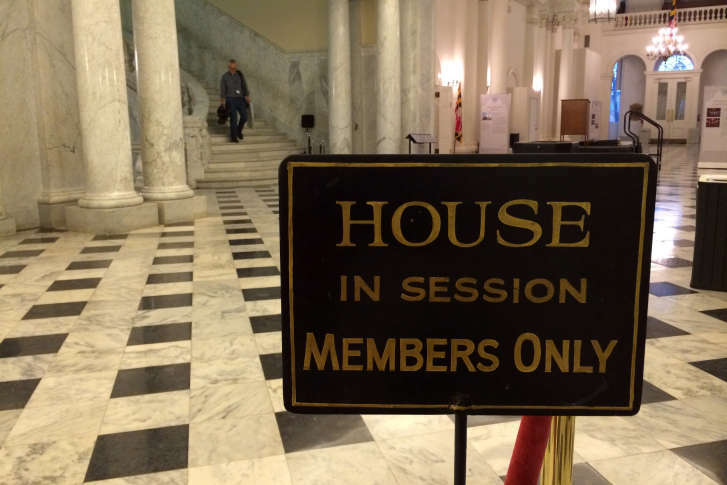 Maryland’s legislative session is beginning with 60 new lawmakers in the 188-member General Assembly.